Y’s are the first generation known to be quite keen on incorporating the mainstreaming of online-slang, lingo and/or acronyms into their daily lives. ‘O.M.G’ which is the abbreviation for ‘Oh My God’, 2nite (tonight), BRB (be right back), GR8 (Great), LOL (laughing out loud) and XO (hugs and kisses)… to name a few, are all perfect examples. 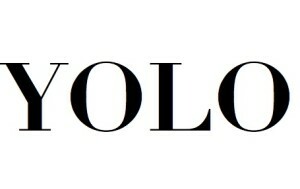 Have you ever heard or seen the abbreviation ‘YOLO’ and not known what it means? Maybe I was the last Y on planet earth, who didn’t know the meaning, so I decided to do some digging for info IRT (in regard to) FAQ (frequently asked questions) on ‘Internet English’. 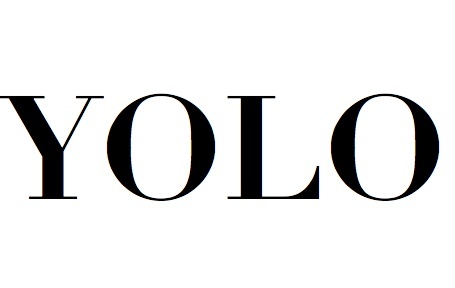 The abbreviation I was stuck on, ‘YOLO’ simply means ‘You Only Live Once!’ It is often used to explain or compensate for decisions, which may be considered regrettable; or simply as a generational motto for learning to live life in the moment, and releasing the pressure that is hinged to our uncertain future. It probably has some correlation to the fact that we are a generation of multi-taskers using acronyms and slang in order to help us get our point across in 140 characters or less.